As in all the previous anti-rootkits tests, their efficiency was evaluated on the basis of awarding definite points for detecting/deleting every rootkit. At that, the maximum for every detecting/deleting case is 1 point. We took into consideration detecting any system anomalies (with 0.5 points awarded) and a possibility for infection cleaning (0.5 points more). In some cases a rootkit could be deactivated by deleting a file or by deleing a register key. A deactivating method did not influence the points awarded. Anyway, in case of successful rootkit deactivation an anti-rootkit was awarded 0.5 points even if both the file and the key or only one of them was deleted. 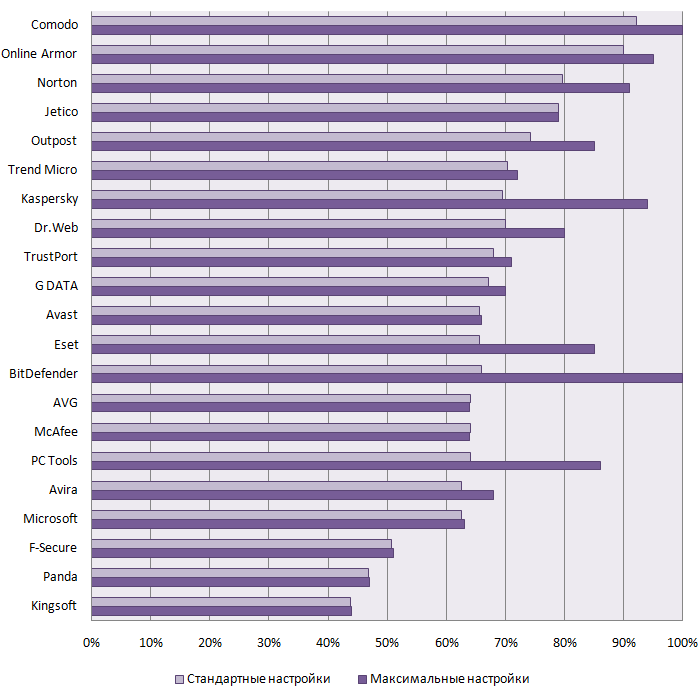 A malware component (rootkit) copying ability was not taken into consideration but considered only as an additional characteristic of the product abilities. Important! An exception is made for system drivers infecting rootkits (Max++, Virus.Protector, TDL3 and z00clicker). If anti-rootkits managed to copy their infected content for analysis they were awarded 0.5 extra points (with the total of 1 point for infected content detection and deleting). By analogue, anti-rootkits were awarded 0.5 points for MBR (Sinowal) infected file restoring (with the total of 1 point for the original MBR detection and deleting). If the anti-rootkit program gets less than 40% of the total available points, it failed the test.